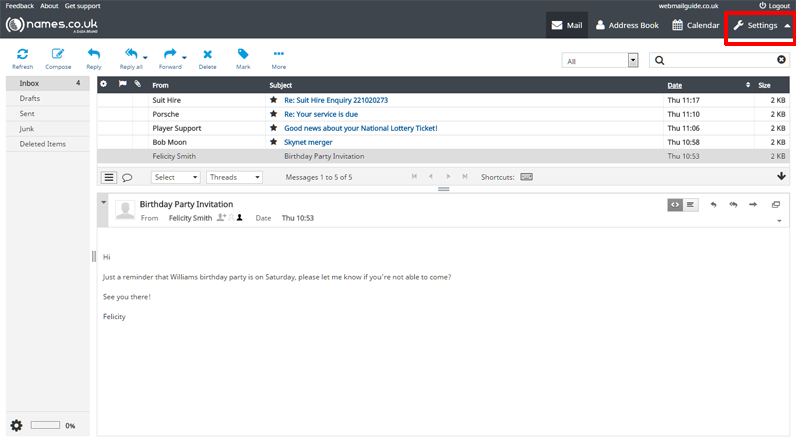 - Within the 'User Interface' section of webmail, you can define the way your webmail interface appears and what language webmail uses. - The first step to alter your preferences is to select 'Settings' from the top right of the screen. 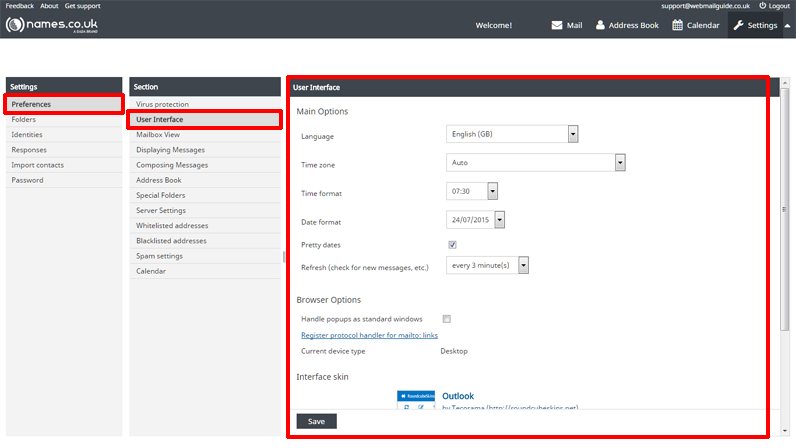 - Now you are within the Preferences area, you can select 'User Interface', from here you can alter the language of webmail, time and date format and how often webmail refreshes to check for new messages. Though more options may become available in the webmail Interface skin, you cannot upload new interfaces. - When you are finished with this page, press 'Save'. - The preferences section allows you to modify various aspects of webmail, it's worth taking a look around when you have time, to see all of the various options available to you.